Why doesn’t God answer more prayers? Why don’t we see dramatic miracles today as often as they happened in the book of Acts? Those are questions that puzzle many a modern Christian. 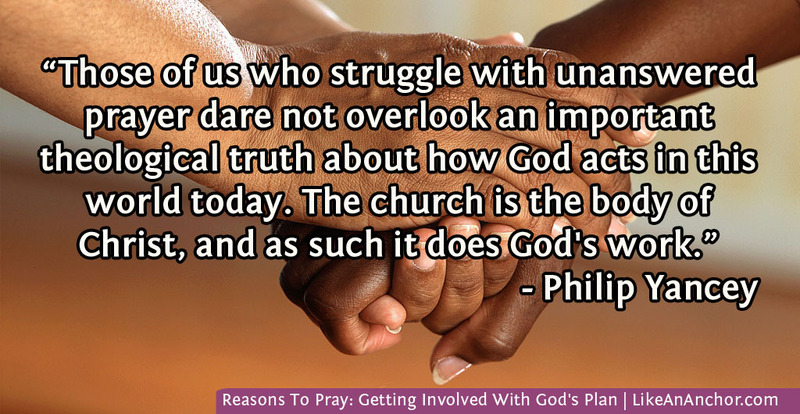 We know God could do more, so why doesn’t He? Why does He choose to use His power in some situations, but not in others? In other words: If God is love, why doesn’t He do something about all this suffering? Those are some of the questions tackled in Philip Yancey’s book Prayer: Does It Make Any Difference? (which I highly recommend). One of the things that he points out should be pretty obvious, but it’s something I hadn’t thought of much before. To borrow Yancey’s analogy, God’s not a vending machine. You can’t pop prayers in like quarters and have the answer you requested fall out. There’s more going on. 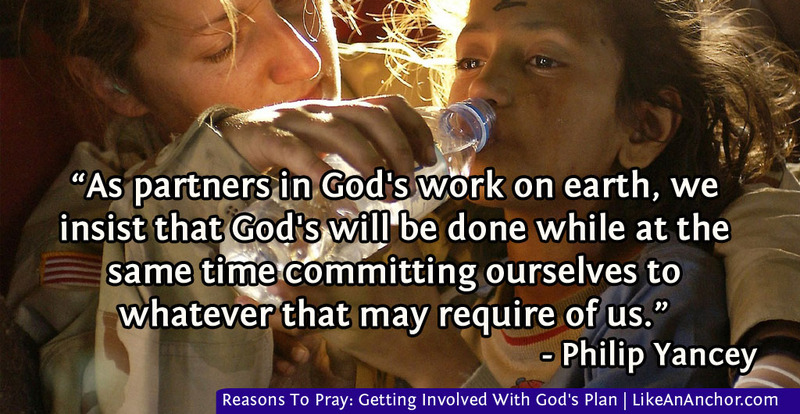 Prayer is for building relationships as much (or more) as it is for making requests. And while God does answer prayers, he often answers in a different way than we might expect. The “something” that He does in response to prayer has a great deal to do with His people’s relationship to Him. It’s an astonishing thing to think about, really. God calls the foolish, weak, lowly, and despised people, then He entrusts them to act as the body of His son operating in the world (1 Cor. 1:27-28). With that thought in mind, I look at myself (and often others as well) and shake my head wondering, “Oh, Lord, what were you thinking?” And yet, for some reason, He welcomes all believers as partners in the kingdom. God does very little on earth without the likes of you and me. In other words, God is letting the wheat and weeds grow together until harvest (Matt. 13:24-30) because He wants everyone to have a chance at eternal life (John 3:16-17; 2 Pet. 3:8-9). He has decided to give us free will and woo us rather than making us follow Him. In addition, He wants the people who do choose to follow Him to help lead others into a relationship with Him. When Jesus was on this earth, He looked out at a multitude of suffering people with compassion. But even though He healed and helped them, He didn’t tell His disciples to pray that the Father would take more direct action. He said, “Pray therefore that the Lord of the harvest will send out laborers into his harvest” (Matt. 9:36-38, WEB). For some reason it’s important to Him that we get involved with the harvest. Before His crucifixion, Jesus told His disciples that it was actually good for them that He was leaving earth. The explanation He gives for that is when He’s in heaven, He and the Father will send the holy spirit into believers. In doing so, They make God’s presence in the flesh a worldwide thing rather than Jesus dwelling just in His own human body. Now He dwells inside all believers through the Spirit, making us the body of Christ. Working with humans in this way seems a messy, complicated way of Them expanding Their work on earth, but that’s what God chose to do. We shouldn’t ask, “Why hasn’t God done something about suffering and evil in this world?” He’s already done something. First Jesus came as Emmanuel — God with us — and died for the sins of every single human being so that no one has to die permanently. Then He put His church here. To quote Yancey again, “Those of us who struggle with unanswered prayer dare not overlook an important theological truth about how God acts in this world today. The church is the body of Christ, and as such it does God’s work” (p. 243). 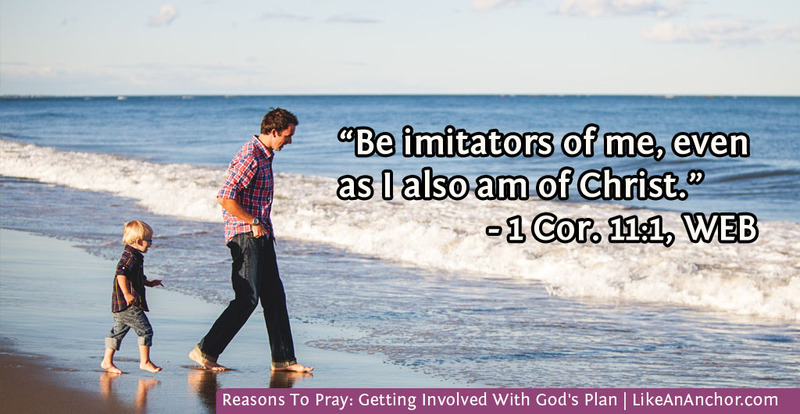 In a statement that seems rather audacious when you think about it, Paul says, “We are God’s fellow workers.” He also says that the humans who plant and water God’s garden are nothing compared to “God who gives the increase.” Paul’s role was just to lay the foundation “as a wise master builder” according to God’s grace (1 Cor. 3:6-11). Paul downplays his role with the sort of humility we all should have when we realize how much God entrusts us with. 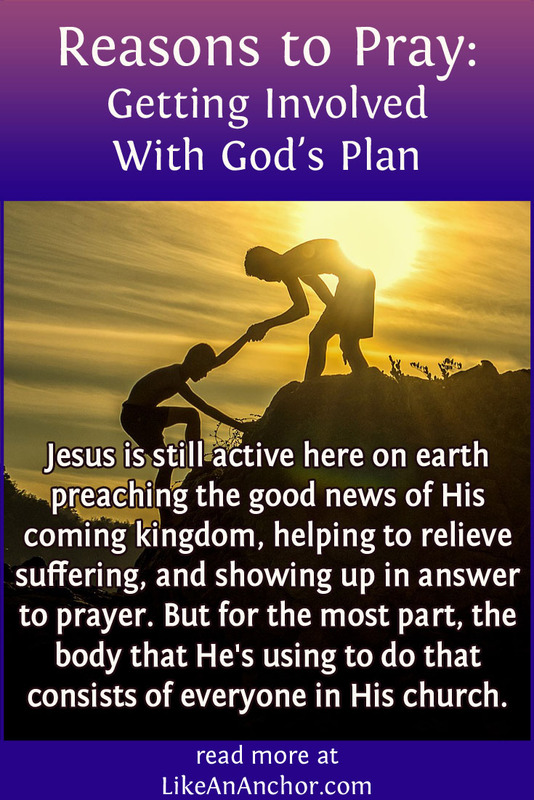 Jesus is still active here on earth preaching the good news of His coming kingdom, helping to relieve suffering, and showing up in answer to prayer. He does get involved directly, but the body that He’s using to do a large part of this work consists of everyone in His church. For some of us, this realization might involve a big shift in how we think about prayer and our fellow believers. Faith without works is dead. It’s useless to tell a destitute person, “Go in peace, be warmed and filled” without giving them the things they need (James 2:14-18, WEB). Maybe prayer functions in a similar way. Sometimes praying for someone or about a situation is the only thing you can do, and that’s certainly a wonderful thing. We shouldn’t think of prayer as something less than taking other actions to help people (just as faith isn’t lessened by the fact that works should accompany it). Still, if someone is standing right there with you saying something like, “I’m so worn out taking care of my sick mother, will you pray for me?” then maybe you’re supposed to do something yourself in addition to asking God to do something. Only God can heal the sick mother, but maybe God’s going to answer their prayer for help by using you as the sympathetic listener, the person who brings over a meal, or the anonymous source of a little extra cash that this person needs right now. And maybe the reverse is true as well — that we can expect some of the answers to our prayers to come through other people in the church who are there for us. It’s definitely an idea worth thinking, studying, and praying about. If you’d like to pick up copies of any of the books I quoted in this post you can use the links below. Please note that these are affiliate links. This means that, at no additional cost to you, I will receive a commission if you click on the link and make a purchase.